...Lord help the mister who comes between me and my sister..."
In May, I used a $10 credit from Live On the Go for Ruby's Diner in Commerce. After my write-up, the Live On the Go folks sent me another $10 coupon. I didn't want to use it again on Ruby's. 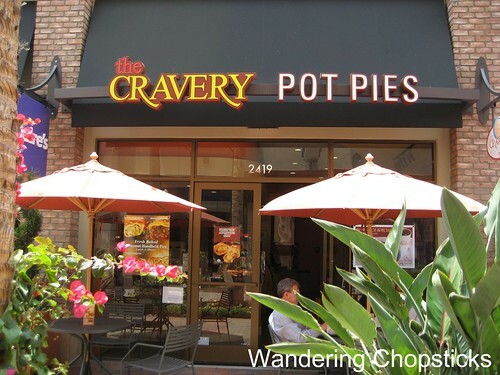 I earmarked it for The Cravery for pot pies ever since I read Elmo of Monster Munching's review of their Irvine location. 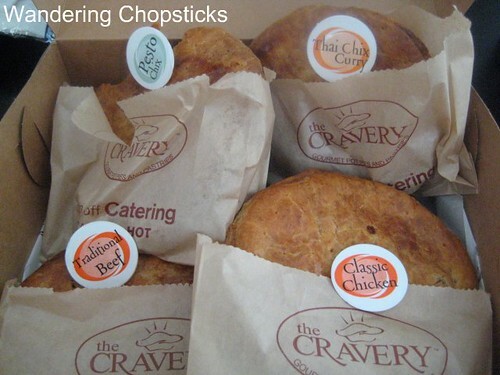 Lil' sis loves me so much that earlier this summer when she was passing through Orange County, I asked if she would swing by and pick up some pot pies for me. So I got on the Live On the Go website, ordered a traditional beef, a classic chicken, a chicken pesto, and a Thai chicken pot pie. Same ease as before. The only problem was that I grabbed the address from their website. I carefully emailed directions to lil' sis. Then I went off to the gym. Uh oh. When I left the gym, my cell phone showed 14 missed calls. Oh, we had a horrible fight when she got home. I fully admit I was at fault for not double-checking the directions and not being properly sympathic or appreciative of what she went through to get me those pot pies. Nonetheless, even as she left the restaurant, she turned back and took a photo for me for the blog. Awww, she loves me. I know I sit on some reviews but these photos were only taken in July. Last week, The Cravery in Tustin closed down. The only SoCal location now is inside the Staples Center. The other two locations are up Northern California. So perhaps this review will be useful for those of you up north. Plus, I wanted to balance out my previous Live On the Go review. This experience was awful. Not the ordering, but the fact that the map was completely wrong and inconvenienced us. That $10 coupon savings was completely negated by the fact that lil' sis burned up more than that in gas by driving around for an hour trying to find the restaurant. Sure in hindsight I should have double-checked the address, but I was relying on Live On the Go to be accurate. 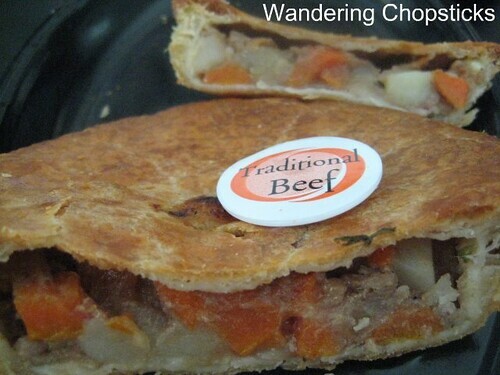 I love pot pies, but I guess a restaurant specializing in pot pies was a hard sell. Or rather, even with that $10 coupon, four pot pies still cost me $14. Ouch! I would never pay full price for these pies. Service was very nice though. I called The Cravery to get the correct address and explained that Live On the Go's address was wrong and my little sister had been driving around for half an hour trying to find them. Lil' sis said The Cravery guy said she looked pretty frazzled and gave her a free soft drink when she came to pick up my order. The pies were still warm when she got home two hours later. Since they're billed as hand-held pot pies, they were about 6-inches in diameter and I think they had less gravy so there's no spillage. But the best part of pot pies is the gravy... So give that up and you just get a dry, bland pot pie. The classic chicken was OK. More potatoes than anything else and the picture looked as bland as it tasted. 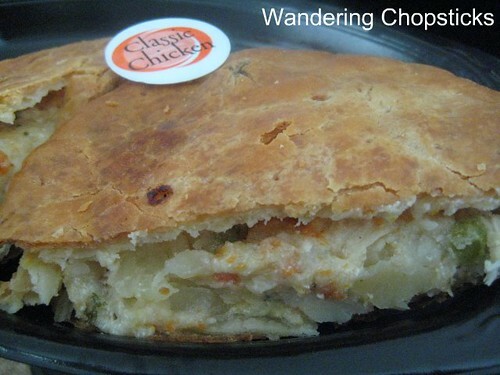 The pesto chicken pot pie was actually our favorite. The pesto gave it the most flavor, which helped offset the dryness. 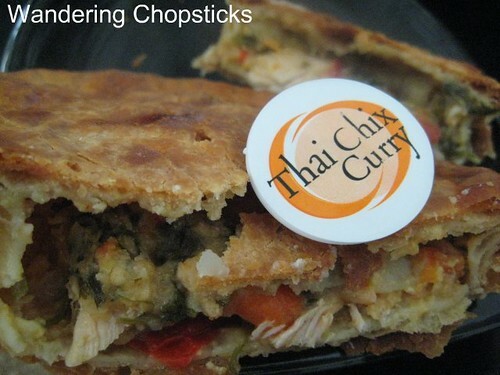 The Thai chicken curry was good in concept, but failed in execution. The flavors of the green curry didn't really come out. Although the ginger and lime flavors kept it from tasting completely bland. The traditional beef pot pie barely had any beef. Mainly potatoes. Dry again. It seems a moot point since The Cravery closed down, but despite the nice service, they're not worth full price. Plus, I make my own Chicken Pot Pie, so it's really only for when I'm feeling lazy. And if you do decide to use Live On the Go, make sure you double-check the address. They did eventually fix it on the website, but of course, it's removed now that the restaurant closed down. September 26, 2008: I swear, Live On the Go's PR guy is the best! So after this review, he apologized profusely for the incorrect map and the problems it caused for me and my sister. He said the problem has since been corrected, said we should have been compensated at the time, and offered a $25 credit. And you know what? After such a sincere apology and quick response, I probably will use their service and try another restaurant. I'm still going to double-check the address though. 1 year ago today, tri-colored crostinis with arugula pesto, bruschetta al pomodoro, and squash blossom ricotta. that is a great photo that lil sis took!! so vibrant. I love White Christmas... and I can tell you that something like this would totally come between my sister and me! We love to fight! I know! Makes the rest of my photos look murky in comparison. But it eats up a lot disk space, that's why I keep my photos small. It's the gravy thing. Can't make a portable pot pie with gravy, and it just doesn't taste great without. I had no idea there was a Cravery in Tustin. At The District right? Wow...that must not have been open for more than a few months. The one I went to in Irvine is also long gone. 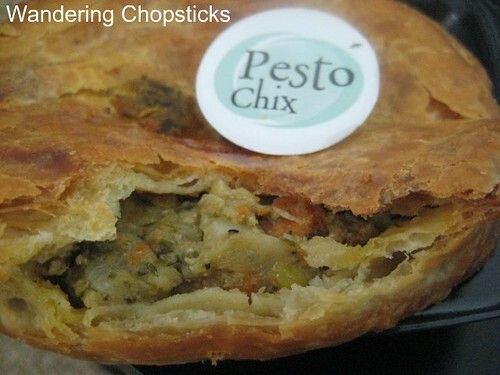 This economy has no room for pot pies that cost that much. I used a coupon for my visit, though I think I liked it more than you did. If you didn't know about it, then it really just came and went! I liked it OK, but for that price, I expected better.